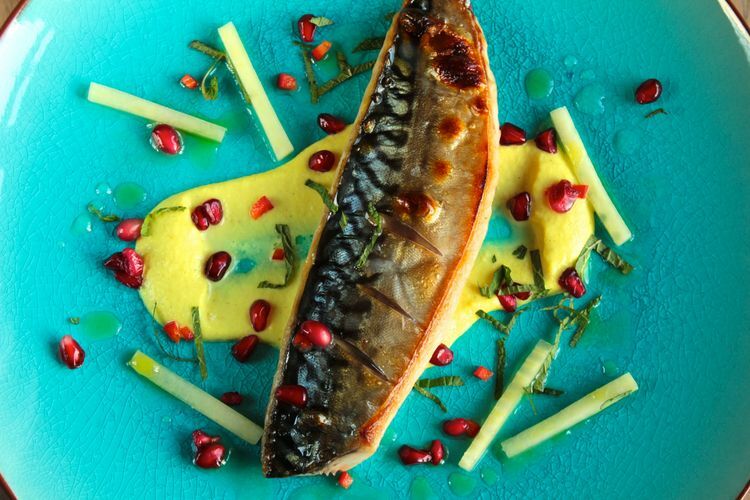 Mackerel is a great fish to cook with. Full of omega oils, it looks great and has a fantastic creamy flavour. It’s also great value, stocks are good, and it's available all year round. Once the cauliflower purée is made, which can be done in advance, this dish can be made in minutes so it’s a great starter or light supper.